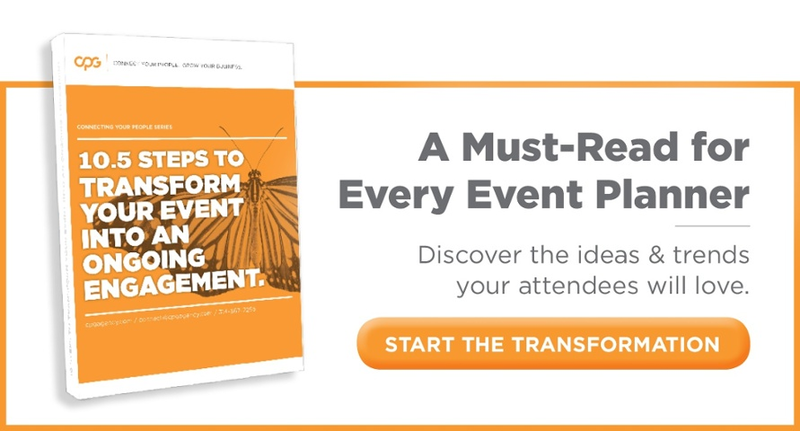 How do you plan to elevate the experience after your last annual event? For corporate event planners, 2018 brings a lot of opportunities and a lot of ways to impress your CEO with an engaging conference that exceeds your organization’s goals and expectations. To plan and execute memorable corporate events, it takes more than just entertainment; it’s about creating an experience that will resonate with your attendees and make your event one to remember. Within the past year or so, people everywhere are claiming that artificial intelligence is the future of event planning. But what exactly is AI? Artificial intelligence basically programs computers to carry out tasks typically performed by humans. Not quite at the Jetsons level, but bear with us. By implementing AI at your next event, you’re opening up a door to endless opportunities. It’s no secret that chatbots will improve corporate events by becoming your “sixth man” on the court. By programming responses ahead of time, you can have all the answers available (in the form of voice or text response) for attendees when they’re checking on the time of a breakout session or wondering where registration is located. Other forms of AI include facial recognition and voice activation. At corporate events, attendees are taking part in activities that require constant focus for the majority of the day. From time to time, mental and physical breaks are needed to keep everyone engaged. If it seems like there isn’t enough time to work “brain breaks” into the schedule, think again. Attendees will be taking the break regardless, so it’s up to you to make it purposeful. Brain breaks are extremely crucial because it gives attendees time to reflect and regroup so they can gear up for next activity, but they can also serve as a helpful networking impetus. Some examples of brain breaks include yoga, team-building exercises or outdoor activities. With the event planning industry becoming more and more digital, brands and their attendees are at a higher risk of their information being hacked. By implementing strong data security practices, such as frequently changing passwords, encrypting files and enabling two-step authentication, event marketers can ensure their data will be safe and secure. Along with data security, physical security is just as important. When planning your corporate event, coordinate with local law enforcement to give your guests peace of mind knowing their safety is a top priority. When attending an annual company event, guests gravitate towards the food. Because who doesn’t love food, right? So, tie your menu to your location. And, don’t forget: local flavor is about more than just the cuisine. The goal is to present something unique to the event – something attendees can’t experience anywhere else. Some tips for incorporating local flavor into your next event include, handing out souvenirs, scheduling guided tours throughout the host city, bringing in local talent or catering food from local restaurants. RFID stands for radio-frequency identification, and these wristbands are changing the game when it comes to creating a better event experience. With RFID, guests can link their credit cards directly to these wristbands and improve efficiency throughout the conference, including speeding up registration and onsite purchases, which is a big plus when you’re welcoming around 7500 guests. Eventbrite reports that when the SnowGlobe Music Festival switched to RFID they were able to scan in more than 20 people per minute at each gate, which estimated around 1,200 people per hour for each scanner. One of the most well-known companies currently using RFID is Disney, who has incorporated these wristbands into all of their theme parks to ensure they have the happiest guests on earth. Nowadays, guests who attend corporate events expect the “wow” factor and traditional spaces aren’t wowing anyone. In 2017, Eventbrite noticed the demand for unique venue spaces grew by 3.8%. Attendees love the ability to step outside after being inside a hotel convention center all day and attend fun, offsite receptions and team building activities. Last year’s PCMA EduCon took full advantage of their NYC backdrop by transforming breakout sessions into adventures that spanned the city and were based on pre-determined focuses of the attendee. With the advancement of technology, hosting an eco-friendly event is easier than ever. One of the most beneficial ways to host a sustainable event is to go paperless with event apps and engage with pre-event communication that includes all of the event details and information. This also leads to valuable “Give Back” experiences that can support the local community and incorporate team-building, charitable activities into the event schedule. Every corporate event has the opportunity and privilege to leave the host city better than they found it. While all of us are familiar with the bells and whistles virtual reality has to offer, there will be an emergence of new VR trends happening in 2018. Virtual meeting places will target the non-attendee experience and give them access to participate in discussions. Digital hangout spots bring a whole new meaning to the word networking. These VR hangout spots shake up the attendee experience and can be easily accessed from your device at anytime during the event. To keep your event fresh and engaging for repeat attendees (as well as wow the first-time attendee out of the gates), be sure to let your audience customize the event to fit their unique needs and wants. By offering customized tracks, personalized agendas and attendee-driven content, your people can really make the most out of their event experience. Most of this can be done through event technology, such as apps and pre-event communication and it can even be iterated onsite through polling. When it comes to event speakers, most attendees expect to hear from top business professionals. While CEOs and keynote speakers give great insight and are experts in their fields, it can come across as unauthentic with their viewers if it doesn’t relate to their challenges and the event’s key message. Attendees want to be able to relate to their thought leaders and ask the questions that are the most important to them. One way to bring in the experts: Geniecast, a two-way, live video platform, makes connecting with the perfect thought leader easy because it saves on travel costs and gives viewers immediate access to the speaker. By finding targeted thought leaders in that space, you’ll create a positive attendee experience.